There is 2 types of people in the world - ones that are organised and ones are simply aren’t. It’s okay to be both but I assure you each of them has their own little advantage along with it. Personally i am such an organised people - I like set times, I like to plan everything out and know every last detail of things. I’ve always been like this. When it comes to my organisational methods, I get really nerdy! I have my set ways of doing things are they’re becoming like routines like I do the same thing but it works for me. I like the idea of having order and knowing what I need to do as it’s all written down for me incase I forget. 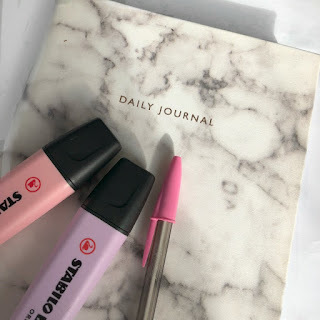 This my second post like this & I realised they’re so much more depth in my organisational skills than the first post showed - reading back on it I’d re- write but I also love the topic of organisation as a whole so I wanted to revisit it One of my favourite ways of being organised is though my stationary. With being at school I’m writing all the time and I’ve found coloured pens and highlighters really are your best friend. They help you revise, colour code and I feel make my work look so much clearer so when I’m looking back though notes I feel as though it’ll be easier to remember. Another way I love being organised to do with school is having Cute notepads / notebooks! Making notes is something I enjoy so much so I pretty much spend all my time at school doing it so what better what than having pretty notebooks to do it in? I find if I like my stationary it motivates me to do work & notes so I feel so much more organised using it then. Next is a more open tip, I feel everyone needs to find their own organisational system! Personally I found I love lists and planning but that isn’t always how people like it. Everyone has different ways of being organised or productive so personally I think that everyone should start by finding their own way! Next is something that too me awhile to realise. It would be 1am and I’d still be sorting and clearing or writing lists and it wasn’t good mentally for me or my sleeping pattern so you really be always need to know when to stop. This helps your brain relax and gives your body and mental state a test which if you’re a workaholic like me is really useful and something you should do more often! One of my favourite things in the world is lists. I love writing them and working though them, it gives me satisfactions watching them go down and seeing my productivity go up. Having everything written on lists always helps me remember when to do things like homework, things that I need to do, peoples birthdays and any handy bits of information. Sectioning it all down into smaller lists in one big list is probably the best way I organise.